The dogs have taken over the Dog Pound truck, and are waiting for you to join! Choose a date on the calendar and you can book your spot RIGHT NOW! 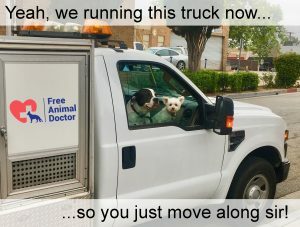 Posted on March 16, 2018 by Free Animal Doctor.